Al Ain FC fans have spoken today of their excitement at welcoming the English Premier League Champions, Manchester City, to the Hazza Bin Zayed stadium. Manchester City stars flew in to Abu Dhabi today after winning the English Premier League title on Sunday for a match at the Hazza Bin Zayed this Thursday that is sending waves of excitement around the UAE. The match was already the most hotly-anticipated game in the UAE for years with an expected 25,000 sell-out at Al Ain FC’s spectacular home stadium, but the excitement has reached fever pitch now City have confirmed their status as the best team in England. 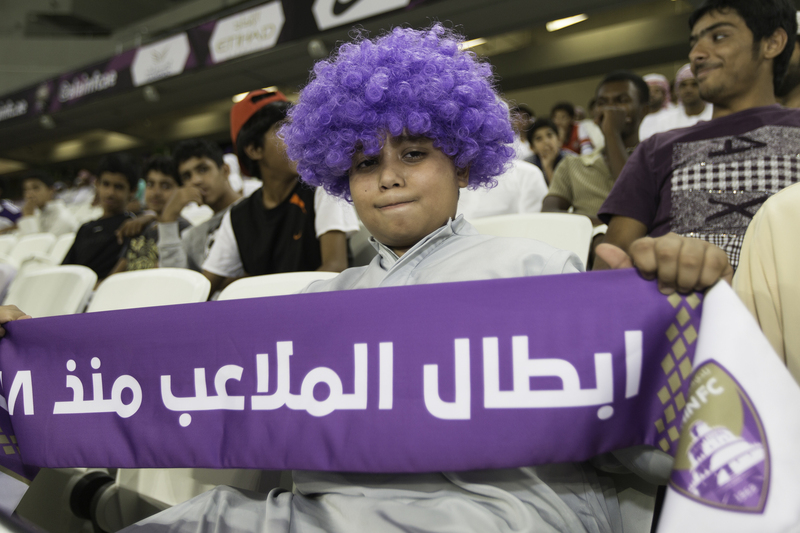 “I am very excited and so are all my friends,” said Al Ain FC fan, Saeed. “It is all we have been talking about for weeks and now that Manchester City have won the title in England, it will make the match even more special. Some of the Gulf region’s top players, including Yasser Al Qahtani from Saudi Arabia’s Al Hilal Club, former Al Ain player, Boubacar Sanogo and Ismail Mattar from Al Awahda will join Al Ain’s top players for the showdown at the Hazza Bin Zayed Stadium. It is the first big test for the four-month-old Hazza Bin Zayed stadium which will make its debut on the world stage with a mouthwatering tie between two great teams. Tickets are available online at the Stadium website hbzstadium.ae and Al Ain Club alainfc.ae, as well as Ticket master ticketmaster.ae. Gates open at 5pm and fans can enjoy the festival right up until just before the game.